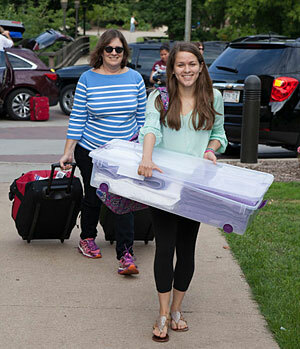 The welcome mats will be out in abundance Tuesday, Sept. 5 when 385 new Lawrence University students, including 17 from the Fox Cities, arrive for that traditional rite of passage known as Freshmen Move in Day and the start of new student orientation activities. Classes for Lawrence’s 169th academic year begin Monday, Sept. 11. Freshmen members of the Class of 2021 were drawn from a school-record number of more than 3,600 applicants, building on a five-year upward trend. 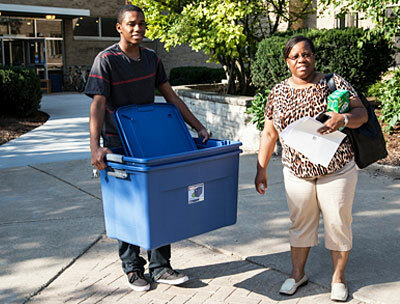 Since 2012, first-year applications to Lawrence have increased 39 percent. 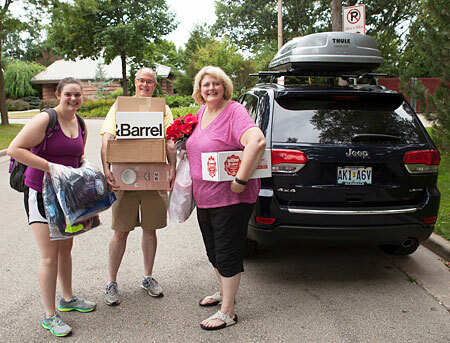 While Wisconsin, Illinois and Minnesota remain first, second and third, respectively, in sending the most students to Lawrence, more than half of this year’s total of new students hail from outside those traditional big three. California and New York round out the top five Lawrence student-producing states. Some of the incoming students from Texas are still coping with the effects of Hurricane Harvey, which has brought out the best in their fellow Lawrentians. Thirty percent of the new students identify as domestic students of color: African-American, Native American, Hispanic, Asian-American or multi-ethnic. China, with 12 incoming freshmen, leads Lawrence’s traditionally strong international student make-up, with six students matriculating from Vietnam. Thirty-four students representing 19 countries, including Bangladesh, Ghana, Kazakhstan, Nepal and the United Arab Emirates are among this year’s first-year students. “As the population of college-bound students in the United States has been declining, especially so in the Midwest, we have been increasing our national and international recruitment focus,” said Anselment. Academically, first-year students averaged 29 on the ACT, with nearly 40 percent of them graduating in the top 10 percent of their high school class.